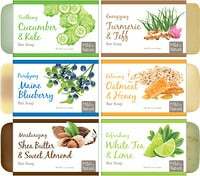 About HappyFamily: We are moms, nutritionists and pediatricians who come up with tasty recipes using yummy ingredients. Our mission is to provide you with the absolute best foods for your little one. 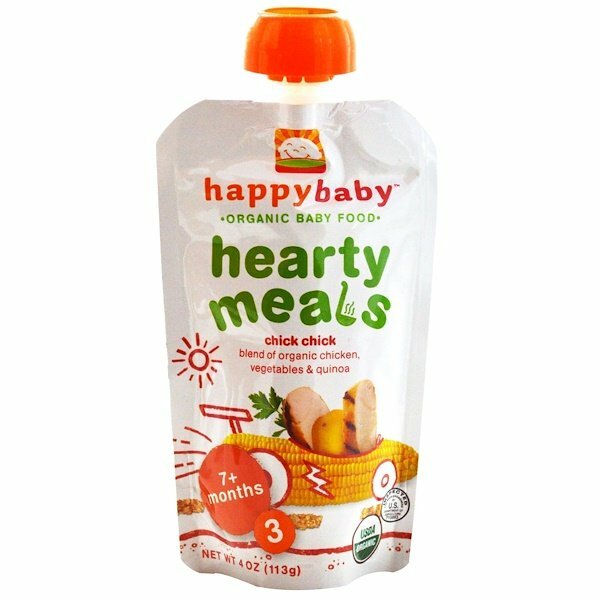 About Hearty Meals: Our hearty meals are made using wholesome, homemade recipes that are sure to delight you little one. Hearty meals have organic vegetables and hearty grains making them both complete and yummy! Heating: Though not necessary, if you prefer to warm baby's food, place pouch in a bowl of hot water until desired temperature is reached. To Store: Refrigerate after opening & serve within 24 hours. Water, organic corn, organic ground dark meat chicken, organic potato flakes, organic quinoa, organic onions, concentrated organic chicken stock, organic carrot juice concentrate, organic parsley. Caution: Keep cap out of reach of children. If cap seal is broken or pouch looks damaged or unusually inflated, please discard. Always remember to use with adult supervision.